What’s more, reports indicate that the company’s self-driving car’s main sensor had known blind spots and the company was pushing ahead with its program, despite reliability problems with its autonomous system. Since at least the time of Ronald Reagan, it’s been a popular thing to complain about the government’s regulation of businesses. It’s an open question how much good all that regulation-slashing has done. But here’s something that is clear: When governments don’t set rules, companies and powerful people are free to set their own. When they do, they almost inevitably set those rules for their benefit, not the broader public’s. The not-infrequent result is that everyday citizens can lose their money, their houses, their privacy, their jobs, or – as in the case of Arizona resident Elaine Herzberg – their lives. It was a chance accident. 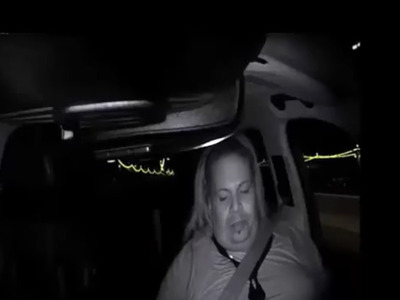 The Uber car didn’t appear to be at fault. Herzberg was likely to blame for suddenly stepping off a median and jaywalking in front of the car on a dark street. Besides, some argued, we should expect that some people will be killed by autonomous vehicles, but their deaths will almost certainly be more than made up for by the many more lives that will be saved. But it turns out that the initial takes letting Uber’s self-driving car off the hook were off-base. Dashcam video made clear that the street was well-lit and Herzberg, instead of making a sudden move, had been steadily making her way across the street. Velodyne, the provider of Uber’s lidar system, the laser-based sensor used to detect objects around a self-driving car, said its device was more than capable of identifying her before the collision. Even so, according to police, the car didn’t slow down at all until after it hit her. Velodyne pointed fingers in Uber’s direction when it came to assigning blame for the crash. That’s probably not a bad place to look. A second video showed that, immediately before the accident, the human safety driver, who theoretically is supposed to take over if the autonomous system fails, wasn’t paying attention to the road and didn’t appear to have his hands on the steering wheel. Meanwhile, The New York Times reported that Uber’s self-driving cars have struggled to go even 13 miles in autonomous mode without the human backup driver having to take over. By contrast, The Times noted, Waymo’s autonomous vehicles on average travelled 5,600 miles last year before a driver had to take control. Despite that, Uber has been pressing hard to advance its autonomous vehicle operation and move toward completely driverless vehicles, The Times reported. What’s more, according to a report in Reuters, Uber’s latest self-driving cars only have one lidar system, down from seven in its previous vehicle. That singular lidar array has a known blind spot, according to employees and others who worked on the system who were quoted by Reuters. In other words, instead of being an inevitable, unavoidable accident, Herzberg’s death is beginning to look more and more like it was the result of negligence and corner-cutting on the part of Uber and its safety driver. And, in turn, it’s increasingly seeming to be the case that Arizona’s essentially anything-goes approach to regulating self-driving cars enabled Uber’s apparent negligence. Self-driving cars have been touted as a potential boon for traffic safety because, at least in theory, they are immune from the No. 1 cause of most accidents – human error. Additionally, their numerous sensors can potentially detect dangers before human drivers could – if those drivers saw them at all. 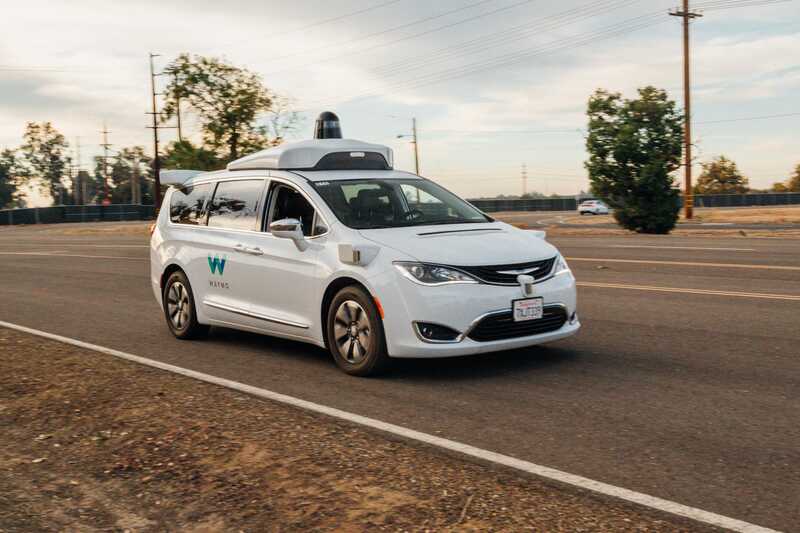 WaymoOne of Waymo’s self-driving vehicles. Last year, the company’s autonomous cars were able to go more than 5,000 miles on average before human drivers needed to take over. Even so, the potential dangers and problems related to self-driving cars are numerous. Cars are massive objects that, thanks to the laws of physics, can do lots of damage, even when they are travelling at low speeds, regardless of whether the driver is a human or a poorly designed algorithm. Beyond how they handle the roads, autonomous cars will have to be protected from potential cyberattacks that could allow hackers to take control of them. And there remain questions to be answered about how riders’ privacy will be protected. Recognising such concerns, many states have put in place rules designed to monitor self-driving cars and ensure safety. Some have required companies to have a certain number of passengers in their autonomous cars at all times or mandated that they keep track and report to regulators on their cars’ experiences on the road. In the hopes of luring technology companies in general and self-driving car businesses in particular, Doug Ducey, the state’s Republican governor, has been on a mission to slash and limit regulations since he took office in 2015. One key piece of that was an executive order he signed in August that year that allowed companies to test autonomous vehicles in the state. The only requirement he made in his executive order was that operators needed to have insurance for their autonomous cars and needed to have a passenger inside who had a driver’s licence. Other than that, operators could pretty much figure out for themselves what rules they should go by. They didn’t even have to report to the state on their cars’ experience on the road. “We responded by saying we weren’t going to hassle them,” Ducey told The Times. “I’d be remiss if I didn’t thank my partner in growing the Arizona economy, Jerry Brown,” he added, taking a swipe at California’s Democratic governor and his infamously over-regulated state. When it comes to corporations and industries, self-regulation doesn’t have a great track record. But if you’re going to trust a company to regulate its own behaviour for the benefit of all, Uber is probably the last company you’d want to trust. Indeed, the reason it was looking to move its self-driving car tests to Arizona was because it got in trouble in California for testing its vehicles without the required permit. Unlike the dozens of other companies that had actually gotten such permission, Uber couldn’t be bothered. So, you’d think with that history, Arizona would have wanted to have more oversight over Uber, not less. But that’s the opposite of the approach it took. It let Uber determine the rules to test its cars and figure out for itself what was safe. Ducey seems, belatedly, to have realised his mistake. Earlier this month, he updated his rules for self-driving cars with new, stricter requirements. Unfortunately, by the time of Herzberg’s death, Uber didn’t yet have to comply with them. Following her death, Ducey and the state demanded that the company suspend its self-driving car tests. Government laws and regulations can often be ill-conceived and detrimental. They’re no guarantee of safety or the common good. They can sometimes favour powerful, entrenched interests rather than innovative startups and entrepreneurs. But they’re also influenced by the democratic process. When you leave the rules up to corporations themselves, they will favour their own interests. And when they do that, the public can lose out and sometimes people die.